Step fathers often enter a new stepfamily with the expectation that they will bring order and discipline to a loving mother who is too soft with her children. This is especially true if she has sons or teenagers. Mothers also might also set this up as well by feeling somewhat overwhelmed with problems with their sons and having a belief that boys need a strong male to help guide them. Some step dads seem to have it figured out from the beginning. Todd married Sandy and instantly became a stepfather to 11 year old Tracy and 13 year old Sam. Todd had 2 sons of his own who were 15 and 17 and often out and about with friends and events. Tracy and Sam spent half of the time with their dad although their visits were inconsistent because of his travel and activity schedule. Sam seemed to be having the toughest time with these transitions. This was only aggravated by his A.D.H.D. diagnosis which caused struggles both at school and at home. Todd was able to see the big picture with the children and recognize why they had some of the problems that they did. He knew that transitions were difficult and their father was having a hard time with some aspects of his personal life. Sam’s attention deficit really called for consistency so Todd worked with Sandy and they both talked with Sam’s dad to come up with a plan that was best for the children. Todd took things slowly. 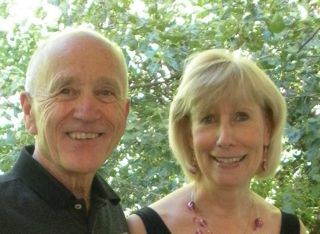 He encouraged Sandy, as she handled most of the discipline with her children, while just finding ways to build a relationship with Tracy and Sam. He offered to take them to school, fix lunches and showed up and cheered them on for school activities. Times were rough at the start but Todd was able to keep the whole picture in perspective. His sense of humor, patience and dedication to Sandy, along with a positive vision for the success of their family eventually succeeded. Click here to read the 7 strategies for successful stepfathers.